Directing a movie and impressing the audience with the debut movie itself is always a tough task for every film maker. 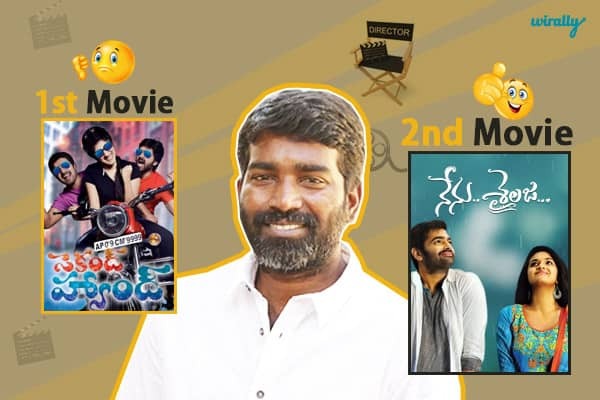 Few of the directors might get successful in the very first go and few might come back with refreshing ideas in their second movie and score a success. Here is a list of directors who’ve scored success with their 2nd movie, while we were mostly unaware of their directorial debut. The most loved love story in recent times Malli Malli Idi Raani Roju was directed by Kranthi Madhav. His Directorial debut was Onamalu which got great appraisal from critics but went unnoticed with the audience. 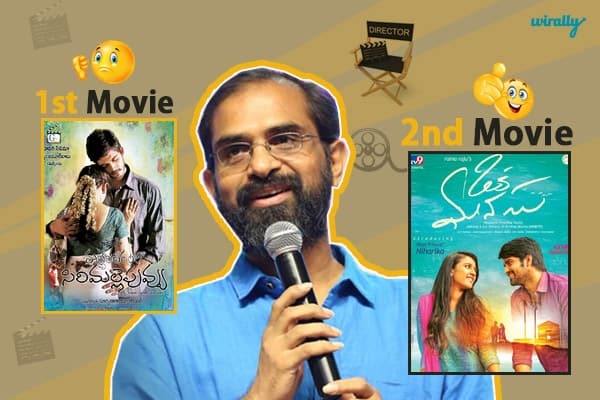 The first super hit of this year Nenu Sailaja was directed by Kishore Thirumala. But his first movie was Second Hand that released in 2013, which had a new style of narration but failed to attract the audience. Need less to introduce, Vikram K Kumar is the most wanted director now in Telugu and Tamil industries at present. Vikram’s first movie was Ishtam which was produced by Ramoji Rao in 2001. Shriya Saran was introduced in this film as heroine. The director of the recent happening movie Oka Manasu, which is having a lot of positive vibes in audience had made his directorial debut with Mallela Theeram lo Sirimalle Puvvu which stared Sri Divya. This movie got great appreciation from the critics but was again unnoticed by the audience.